Exclusive app for Northgate car rental customers in Ireland. 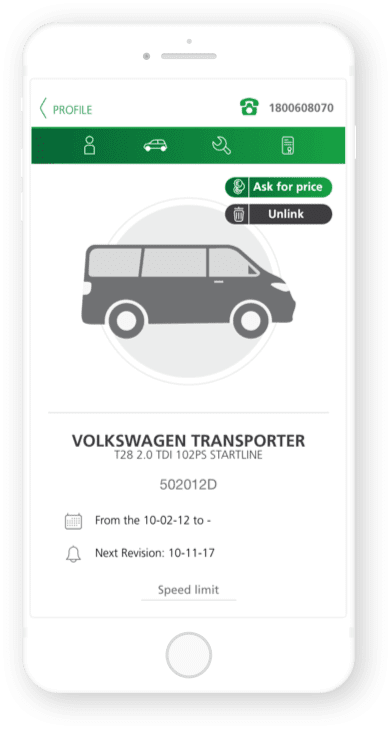 The app allows users custom access and management of information on their rental vehicle and contacts with the company. Northgate Ireland connects to their customers through this app, developed by Cuatroochenta, responsible also for the development of Northgate Driver for the same corporation in Spain in 2015. The app, available for Android and iOS, brings to the customers’ smartphones all the necessary information and tools for an optimal service, including customised alerts and the possibility to contact the company directly. To access an alert system on their rental vehicle: a checklist on the daily vehicle review as legally requested in Ireland (NCT). To update their mileage and calculate fuel consumption. To send accident reports directly to Northgate’s insurance. To report a stolen vehicle. To read the contract and maintenance guide. To receive alerts on traffic information, like closed roads due to works or traffic delays. To access Northgate car rental offers. To read the driver’s and efficient driving manual.